“Can I help you?” queried a shadowy figure. The interior of the building was not much of an improvement on the exterior. A few old glass cases guarded shelves of boxes and outdoor equipment lining the walls. A few rows of shelving led to the back of the store and I could hear the sound of water flowing into minnow tanks in the back. The place looked old and, as I walked around, the dust and jumbled appearance confirmed to me that modern merchandising principles had not yet arrived at this location. You never know what you’ll find in an old shop like this so I walked around and ended up gazing at the fishing flies displayed near the door. The open ended question led to a pleasant conversation with the owner (I assumed) describing places to try and where to stay in the small town. “Yep, that would be me,” the second person in the shop finally spoke. To make a long story short, I set up an afternoon float with the guide. Tom. and we agreed to meet at the store about 1:30pm the next day. At the agreed time I arrived at the store and was removing my gear from the truck as the guide showed up. Our boat turned out to be a Grumman Sport Canoe. I was not sure what to expect and figured he’d show up with anything between an Au Sable river boat to a canoe, but the craft was not a bad choice at the time. You will have to remember that this was before the introduction of Clacka-Craft or Hyde drift boats into Michigan rivers. The plan was to float until dark and then take out at a pre-arranged location. Fishing would be a combination of wading (where possible) and casting from the seat. That I could handle. It was my first time floating this particular river. The scenery was great and the guide knew his way on the stream. I felt confident we would get into some good fishing. I initially started out with a combination of different streamers and as the afternoon progressed we would pick up a fish here and there but nothing to write home about. I had been using my own flies and the fishing was slow. About 4PM Tom asked if I would like to try a local fly. I was suspicious, since flies were extra at fifty cents each, and maybe this was Tom’s chance to take the “newbie” for a couple of extra bucks. Since things were slow I figured two or three bucks wouldn’t kill me, and agreed. Tom gave me a brown bodied fly he called a Corey Calftail and we stopped at an area I could wade. He told me to cast the fly quartering downstream and to mend my line upstream as the fly floated down. As the line straightened out I was to let it swing across the current and then bring it back up with a series of short strips. I followed instructions and, with some coaching, managed to get to the point where he was satisfied with my fly handling. I worked through to the end of the run and, using the technique, managed to pick up a few fish, actually more than I had caught in the first few hours. It seemed that local flies and some good guide coaching were proving successful. As years went by I realized that I had received an education in classic wet fly fishing technique and that the fly itself had the style of a classic wet fly. As I got back in the boat Tom suggested that I try another fly with a yellow body. He also said that I would be sitting and casting for a while and that we would use a different method. It cost me another fifty cents but I could keep the original fly. This time the method was to treat the Corey Calftail as a streamer tossing up to the bank or into a logjam or other structure . The trick here would be to strip it along the bank or in front of any structure, fast or slow, almost like I would fish a Muddler Minnow. This technique worked even better and I ended up with a few 15” and 16” browns by the time we were ready for a break. During the break he explained the fly was invented by a Dr. Corey who used to fish with him and that it was a good general purpose fly. The two that I had used were size 10 and then 8. In the larger sizes, he said, they seemed to represent something that the fish liked. He also said there was another smaller version that should work well later in the evening if we got bugs. After our break we moved to a good wading area with some fish rising. I asked about an appropriate dry fly and Tom suggested another Corey Calftail but this one looked to be tied on a size #14 but with a cream or white body. Sure it was another fifty cents but it was getting easier to justify the expense. The method was somewhat different as I began casting the fly to the rising fish. It took me a while and some coaching but I caught on and began to take those rising fish. It had turned into a really fun afternoon. After I fished through the long run and it got near dark, Tom said that we better get moving to get to the take out. Reluctantly, I reeled up and snipped off the fly. Floating downstream into the night I thought, not a bad day. Yep, not a bad day at all for only an extra buck fifty. Over the next few days I continued to have generally good success with the Corey Calftail. 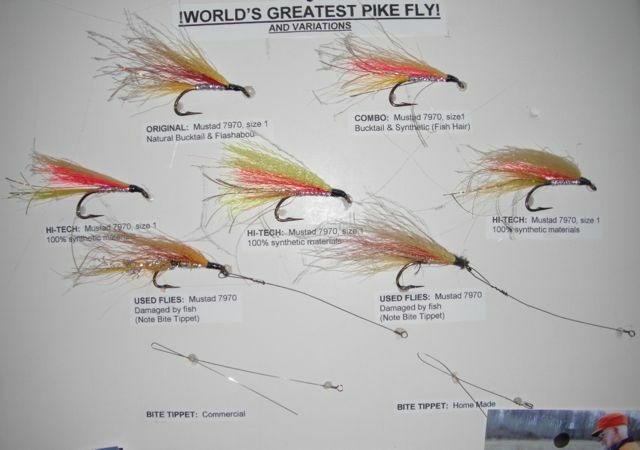 I invested a few bucks in different sizes and learned more about the techniques to fish the fly. It has become a “go to” fly over the years. The interesting thing about the fly is that it can be fished like a traditional wet fly. Change technique and you can fish it like a streamer. Adjust your technique again and it becomes an emerger. The size of the fly appeared to be a prime factor in these changes to method. For those of you who are curious, here is my formula for the Corey Calftail. Give it a try. THREAD: Match the body color. TAIL: White calftail length of the hook gape. RIB: Brown hackle stripped and wound through the body. For small size flies use gold or silver wire for ribbing instead of the hackle. BODY: Brown, green, yellow or cream dubbed on hook. WING: White calftail extending almost to end of tail. December 3, 2013 in Fly fishing tales.